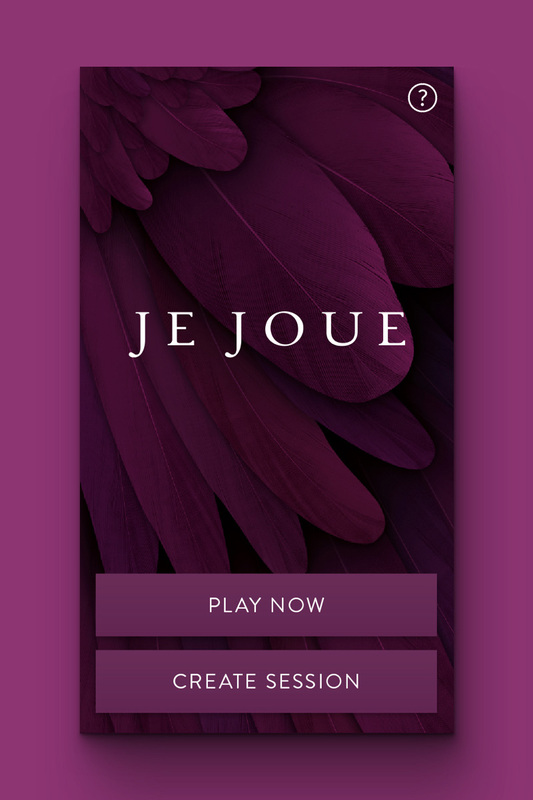 Adult brand, Je Joue, wanted to increase their digital footprint by creating an app that would connect to their devices. Starting with wireframes, we explored all the possible ways in which the user may want to use the app, including a simplified interface that only required one hand. 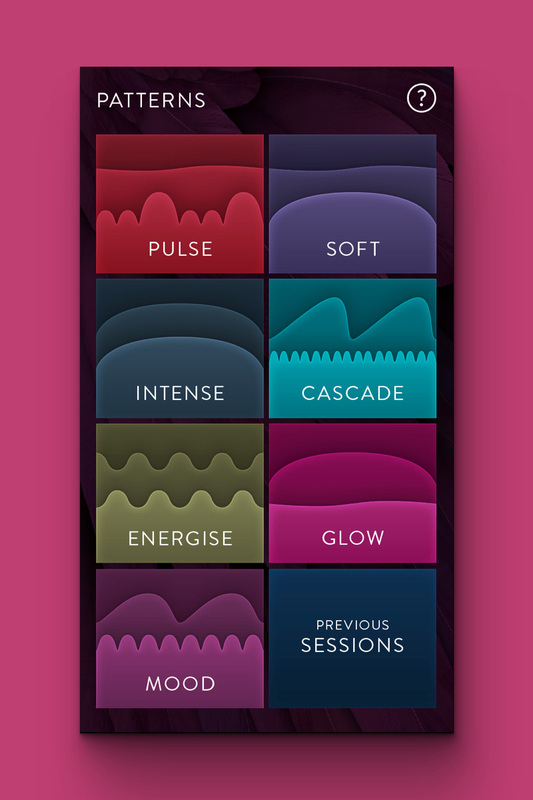 A playlist was implemented, allowing users to create a curated session, including duration and speed settings. 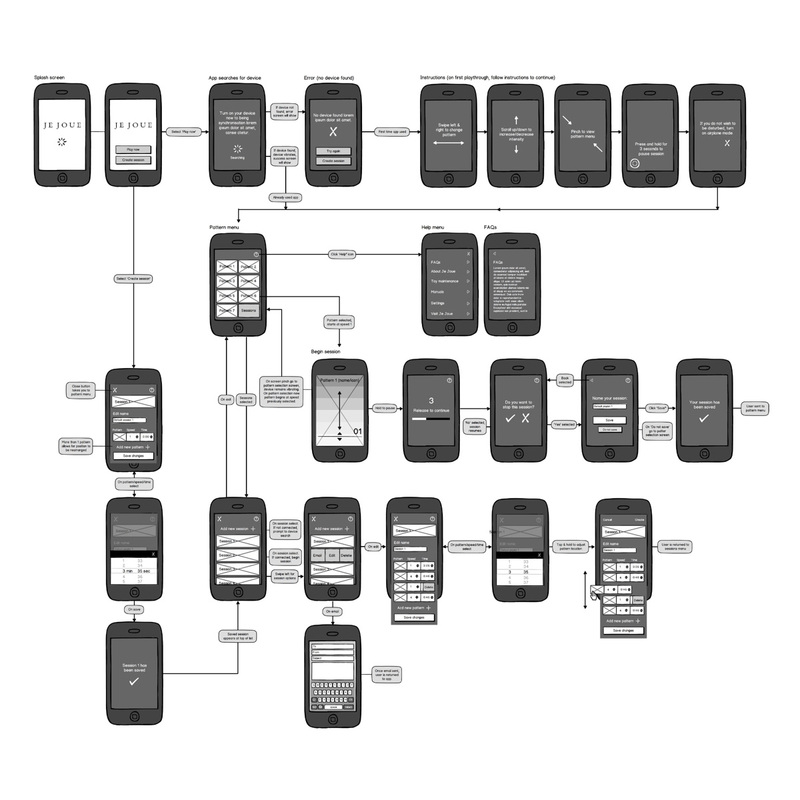 Wireframes and user journeys created in Balsamiq, allowed for quick creation of legible screens that the client would understand. 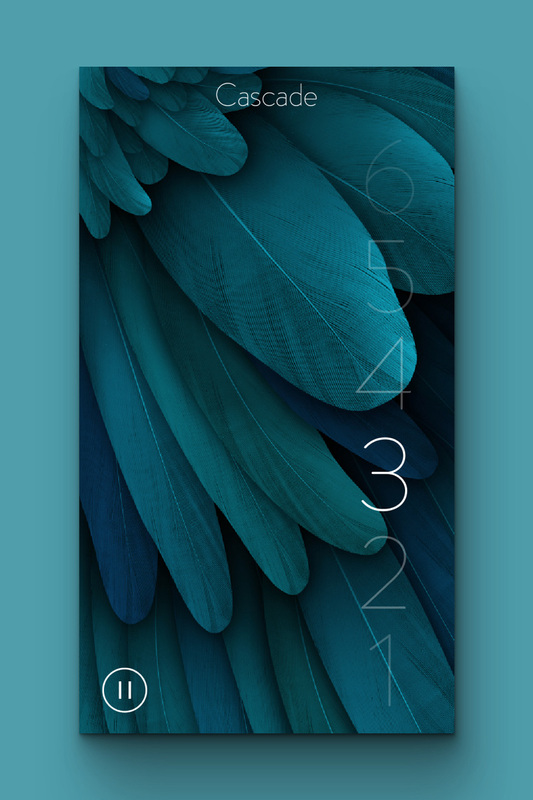 UI in Photoshop to give sultry colours and textures for the different settings. 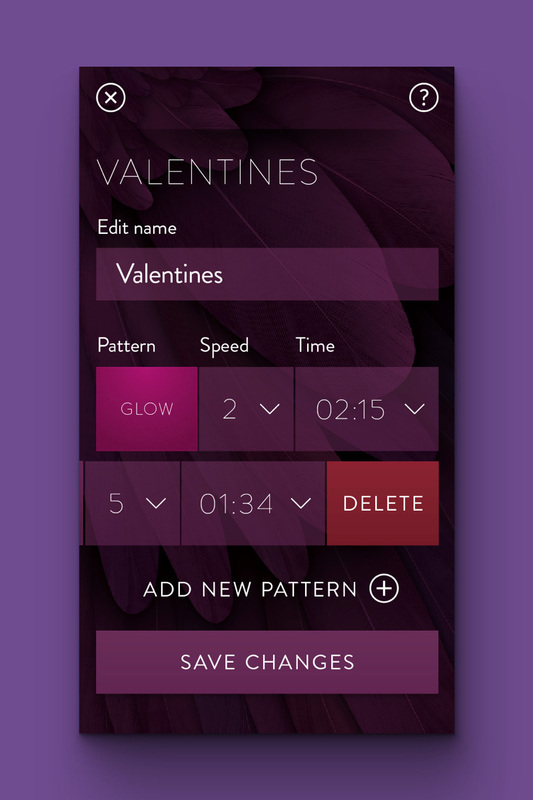 Creating an interface with large and simple controls was key to the app. Taking lead from the brand, we created a range of colours to accompany the different settings. Visualising the several device settings was the trickiest, having to capture the two motors movements in a simple way.